Gartner Inc., the world’s largest research and advisory firm providing information technology related insight for IT and other business leaders, recently released their 2019 Magic Quadrant for Intelligent Business Process Management Suites (iBPMS). Gartner defines an iBPMS as a type of high-productivity (low-code/no-code) application development platform. An iBPMS enables dynamic changes in operating models and procedures, documented as models (process flows, business rules, decision models, data models, etc. ), directly driving the execution of business operations. In turn, business users make frequent (or ad hoc) process changes to their operations independently of IT-managed technical assets such as integration with external systems and security administration. iBPMS use actionable, real-time insights from operations intelligence to augment the orchestration and automation of adaptive business processes. They help application leaders deliver better business results by improving and transforming business processes. In this Magic Quadrant, Gartner evaluates the strengths and weaknesses of 21 iBPMS vendors that it considers most significant in the marketplace and provides readers with a graph (the Magic Quadrant) plotting the vendors based on their ability to execute and their completeness of vision. The graph is divided into four quadrants: niche players, challengers, visionaries, and leaders. At Solutions Review, we read the report, available here, and pulled out a few key takeaways. According to Gartner, iBPMS plays an important role in facilitating the creation of a digital twin for your business operations. It seamlessly brings together several of the core components of a business operating system — most commonly the operating model of the business, enterprise performance management, operational intelligence, and business decisions. Therefor, an iBPMS provides real-time insights supporting “DigitalOps” — that is, hyperagility at the business level through continuous change to the business operating model and business processes at the pace of DevOps. This allows for the rapid and continuous improvement of a business process, or experimentation with new customer experiences and operating models. The 21 vendors evaluated in the report include: Pegasystems, Appian, IBM, Bizagi, Oracle, K2, Genpact, Software AG, TIBCO Software, AXON Ivy, AuraPortal, Newgen Software, AgilePoint, Red Hat Inc., BP Logix, bpm’online, Bonitasoft, NTT Data Intramart, Kofax, Whitestein, and ITESOFT | W4. Gartner provides honorable mentions that were not included in the research because they did not meet one or more inclusion criteria (ability to execute and their completeness of vision), however, they are appropriate for certain situations and compete against the vendors covered in this Magic Quadrant. Those vendors include: CANEA, DST Systems, Isis Papyrus Software, Nintex, OpenText, PMG, Salesforce, and SerivceNow. Faced with both externally and internally driven change, organizations have a bigger need to reinvent themselves while also driving improvements in efficiency. 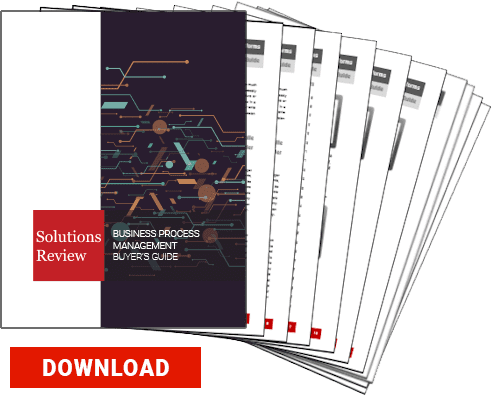 Several of the vendors within this market have shifted their marketing message to go beyond a focus on traditional Business Process Management (BPM) to supporting organizations in their digital business transformation efforts. They have rebranded their platforms to emphasize the role that an iBPMS can play in supporting the transformation to a digital business. There are still many other kinds of BPM products that address less-comprehensive market needs. When an organization faces relatively slow rates of change, has very low BPM maturity or is focusing mostly on document-centric process automation, an iBPMS product may be overly complex for the task. The mobile, social, cloud and analytics features in an iBPMS have continued to evolve. More-intelligent iBPMS products and services provide robust decision management capabilities, allowing you to optimize outcomes across a variety of decision types. 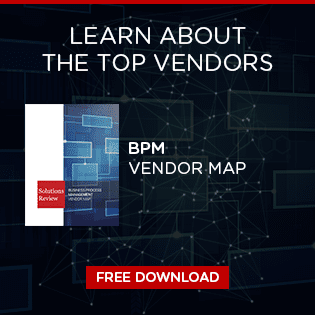 According to Gartner, the growth of the overall BPMS market was modest in 2017. This trend is expected to have accelerated in 2018, because many of the leading vendors in this market have made significant investments in developing cloud-native capabilities. They have also put more emphasis on bpmPaaS in their sales and marketing efforts. While these alternative tools may not offer process and decision management or analytics capabilities as rich as those of an iBPMS, they may have “good-enough” capabilities and require less investment in both skills’ development and software licenses. Download the latest Gartner Magic Quadrant for Intelligent Business Process Management Suites.